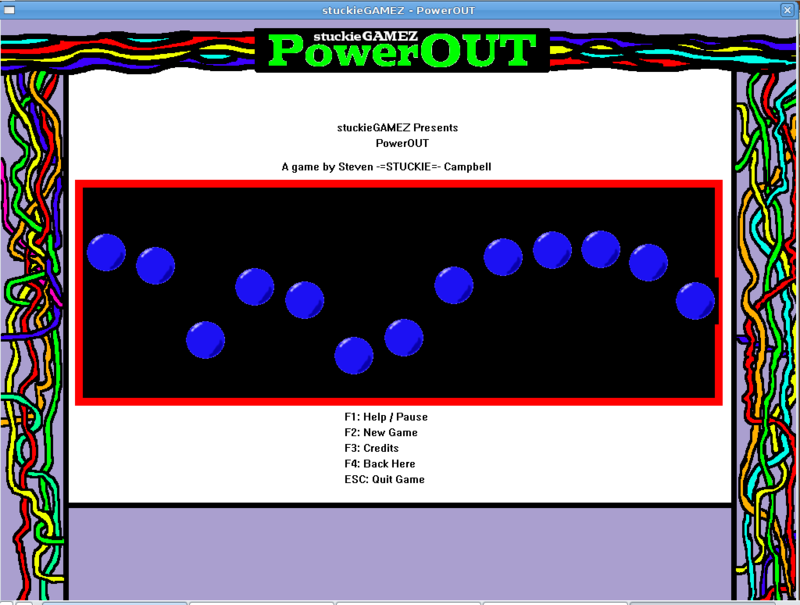 PowerOUT was created for the WinAPI Coursework in Second Year. I created the entire thing from scratch in a weekend – hence the very horrid graphics – and was written on a Linux system using WINE to check the binary, and the mingw tool-chain to create the Win32 binary. The goal of the game, is to power the reactors by feeding charge particles to a conversion station, and then wiring the station to the reactor. It borrows from Deflektor and Pipedream. 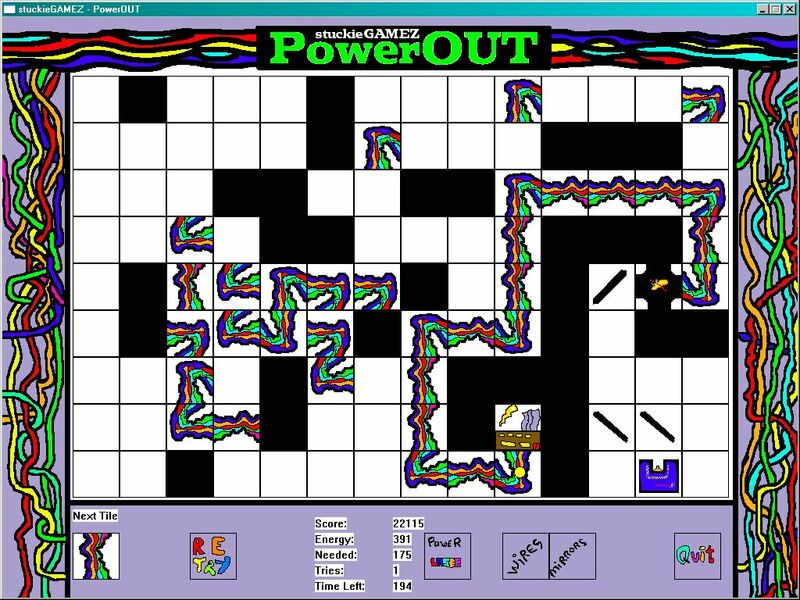 It’s also made more difficult than it should be due to wires exploding, and a bug that made it very biased towards corners rather than straight pieces. There’s also some bugs in the path finding code, but the game in general works as a very quickly done prototype. The download contains the Windows binary, which will run under WINE in Linux without problems, and almost full source code – the main.cpp file is missing. Unfortunately, I do not have this file any longer, so this is all the code I have. Also included is the Report that was submitted. This was done for a WinAPI coursework and it met and succeeded with this goal. 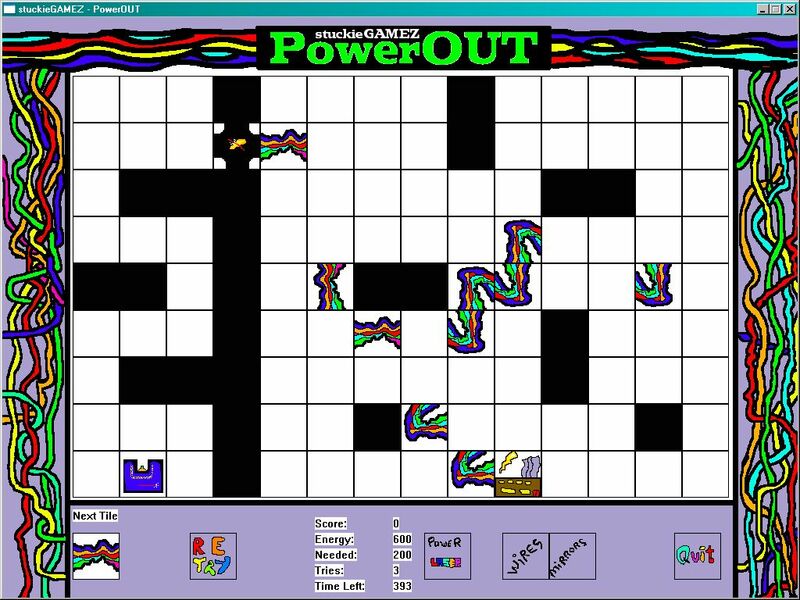 As for the game itself, there has been a second version worked on for a while – being rewritten in SDL to support other platforms. Chances are high that it will be redone and fixed.